Print Marketing… We Just Get It Done! We have a professional design team here ready to get to work to make your print marketing look its best! While you run your business, we are hard at work creating a powerful print marketing pieces, logo or business card… or all three! We have over 20 years experience in marketing and graphic design. You are in good hands! Relax. In no time, you get an email with a link to look at initial concepts of your new brochures. As you sit in front of your computer with a hot cup of coffee you can review your proof, make comments, attach files, share with colleagues and markup your proof. Upon approval, we deliver any files and/or get your job into print production using professional full color printing presses. We take care of the design, printing and delivery so you can continue running your business knowing we got everything in control. This stuff looks good! You Get Great Print Marketing Material! Time to grow your business. 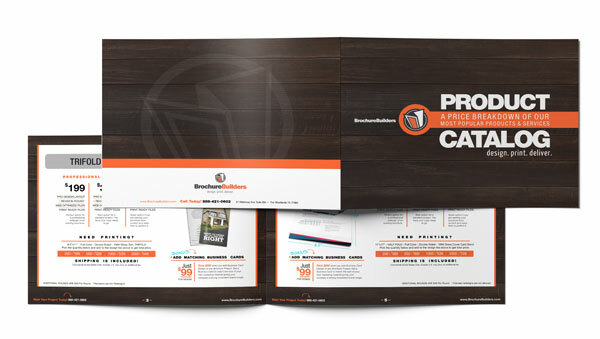 Now you can be proud to hand out professionally designed and printed marketing materials. When clients ask where you got it, please tell them! We are the one-stop-shop!